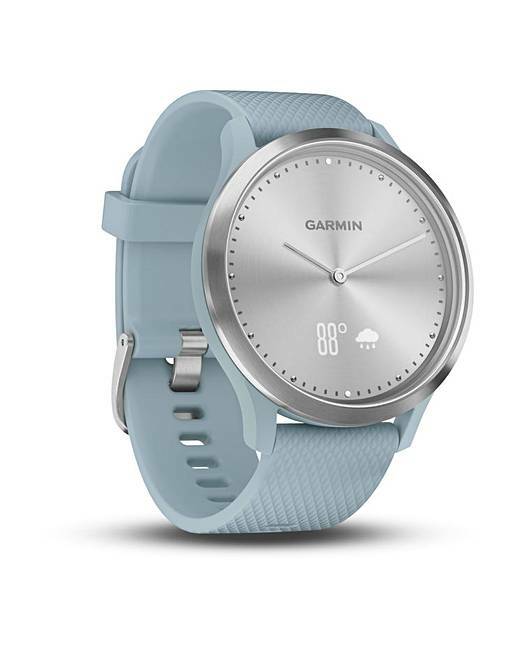 SOPHISTICATED DESIGN - Physical, ticking watch hands meet a crystal touchscreen and a discreet display. DISCREET DISPLAY - The hidden display is only visible when you want it to be. When you're not using it, it disappears into the device. 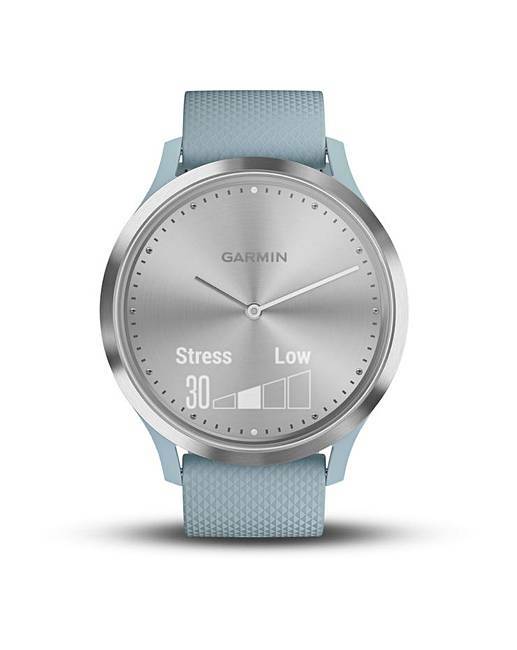 WELLNESS MONITORING - Monitor wellness with all-day stress tracking and the relaxation-based breathing timer. 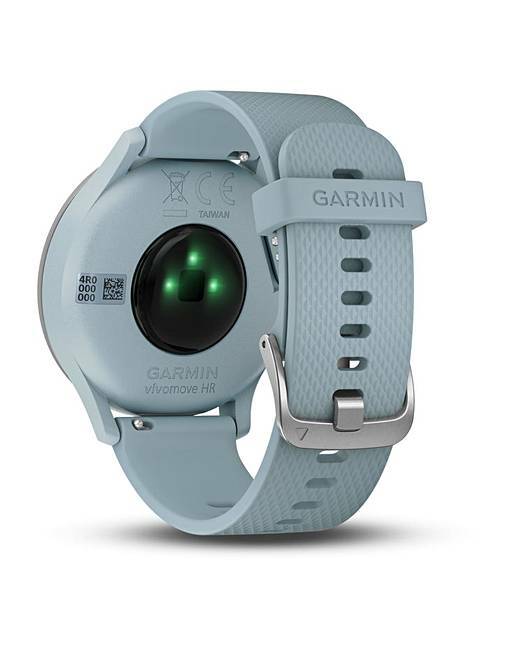 FITNESS MONITORING - Receive better insight into your current fitness level using the VO2 Max and fitness age features. ACTIVITY TRACKING - Displays steps, calories, distance, heart rate and intensity minutes. MOVE IQ - No need to start and stop your activity timer. 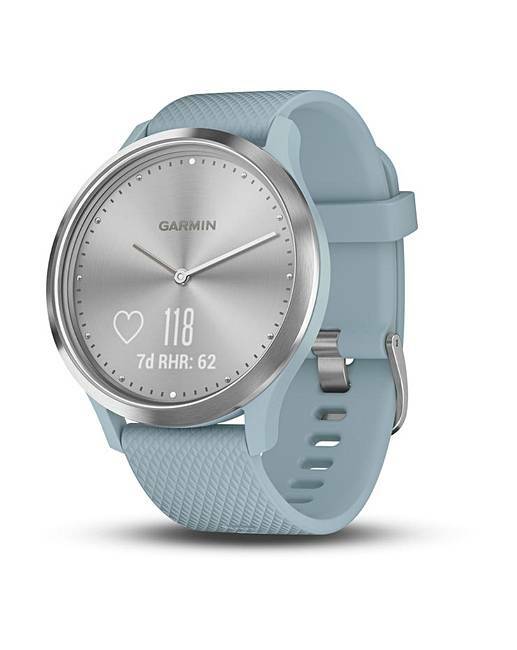 vivomove HR automatically starts your walking activities and then lets you review your daily activities on Garmin Connect. CONNECTED FEATURES & SMART NOTIFICATIONS - Auto uploads, smart notifications, music controls, automatic SW updates and more! SWIM-PROOF - Safe for swimming and showering with a 5ATM water rating, it's designed for life. ACTIVITY PROFILES - Built-in activity profiles for run, walk, strength training and cardio.